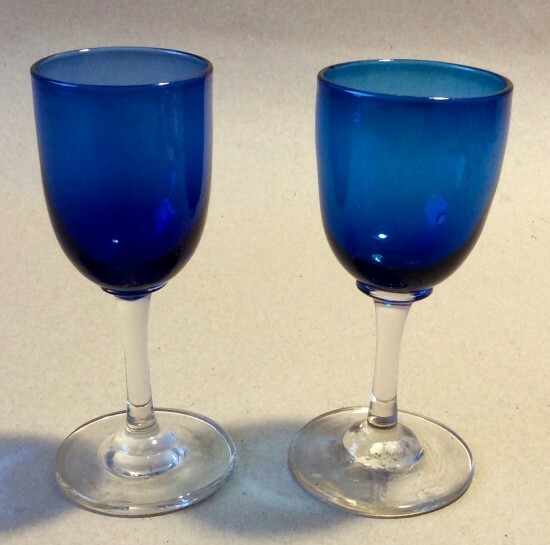 Description: Two blue bowl Victorian wines. Plain clear stems on plain feet with t marks. Dimensions: 12.1cm and 11.5cm long, 5.0 and 4.5cm diam bowl.